MP: I take the purpose of book reviews to be description and evaluation. By description, I mean that the reviewer must try to convey to the readers the essence of the book in question, what its central argument is (if a critical book), or, in the case of poetry or fiction, what the distinctive characteristics are. Description also involves historical and geographic placement: to what tradition does the book belong? How does it relate to the author’s previous work? How does it reflect (or not) its culture. Evaluation, less and less frequent in reviewing, is central, but should be based on the analysis itself, not on some impressionistic response. MP: I always try to give a close reading of at least one or two passages so as to sample the work. And placement is crucial. How does X relate to other comparable books? Is it original? Important? Most reviews I see do not ask these questions and, frankly, are not reviews at all but just puffs, endorsing this or that. MP: Knowledge and judgment! And breadth. And good writing. I must say I think reviewing today is at a low ebb. The major papers and journals don’t review serious books, not to mention poetry books, at all, and when they do, and I happen to have read the book, I am appalled by their errors, misstatements, and incomprehension. The smaller reviewing venues, on the other hand, publish only favorable and largely superficial reviews meant to promote the book in question. MP: It depends how much space the journal in question gives you. If there’s a strict word limit, I try to foreground one text but sometimes there are ancillary issues that may be more important to talk about. The author’s body of work is central to any discussion. But there’s no rule of thumb. MP: Well, since I’m not a poet or creative writer, I can’t quite answer this but I think I write the same way whether I’m writing memoir like VIENNA PARADOX or a review—same sensibility after all. MP: Often! I’ve never had to write about any book but I’ve written dozens of negative reviews in my time although one does it less as one gets older because one knows too many of the authors! I’ve written critically of poets that, had I known them personally, I probably would not have done it, thinking it’s too cruel. There’s also Frank O’Hara’s argument that it will go away without me. But it doesn’t always go away and when I see poets get huge awards and win prizes—poets I am convinced are third-rate– I’m ready to get embattled again. The inbred quality of current poetry reviewing is a problem: obviously it becomes a form of back-scratching. On the other hand, when it comes to contemporaries, critics who are not themselves poets rarely care enough to bother, so it’s Catch-22. I wish I had a solution to this problem but I don’t. The best journal editors can do, I suppose, is make sure the reviews aren’t written by friends. Or, if they are, make clear what the relationship is. MP: The spate of recent reviews of Thom Gunn’s Collected Poems made me think I should take a second look at his work. But it doesn’t happen often. MP: Well, as I said above, most reviews in the poetry journals and on blogs aren’t reviews at all but just little appreciative blurbs. And I especially object to the “reviews” on most blogs, where anything goes. I believe absolutely in EDITORS—Editors to assign reviews, editors to ask for revisions, and so on. My own bête noir is the review of a great poet in translation by someone who doesn’t know a word of the poet’s own language. Whatever it is these reviewers are writing about, it certainly isn’t the poetry. MP: It depends on the journal. I usually accept assignments from TLS because it’s a real challenge and my editor there is very tough and corrects every word. I love reviewing for Book Forum, which is also very exacting. These venues, by the way, do pay a decent sum but I don’t do review for the pay but because I am happy to have an opportunity to have my say and perhaps bring a new readership to this or that author. I loved, for example, reviewing David Antin’s Talking at the Boundaries in the late 70s, for The New Republic. And reviewing Frank O’Hara’s Art Chronicles in the same journal. That review opened up a new world: George Braziller saw it and asked me if I wanted to write a book on Frank O’Hara. MP: Absolutely! I first read Georges Perec’s Life A User’s Manual as a result of reading a review in TLS that made me want to read it. And that has happened many times. Marjorie Perloff is Sadie D. Patek Professor Emerita at Stanford University and currently Florence Scott Professor Emerita at the University of Southern California. 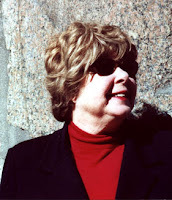 She is the author of thirteen books on Modernist and Postmodernist poetries and poetics, European as well as American, including books on Robert Lowell, and Frank O’Hara; The Poetics of Indeterminacy: Rimbaud to Cage (1981), The Futurist Moment: Avant-Garde, Avant-Guerre, and the Language of Rupture (1986, new edition, 1994), Radical Artifice: Writing Poetry in the Age of Media (1992), and Wittgenstein’s Ladder: Poetic Language and the Strangeness of the Ordinary(1996, 1998 paperback). Her memoir The Vienna Paradox was published by New Directions in 2004. The Sound of Poetry, the Poetry of Sound, co-edited with Craig Dworkin, has just been published by Chicago, and her book Unoriginal Genius: Poetry by Other Means in the New Century is forthcoming from Chicago in 2010. Perloff has held most major fellowships, including a Guggenheim and NEH, and has lectured extensively in the U.S., Europe, East Asia, and Latin America. She is a Member of the American Academy of Arts and Sciences. She has published close to 300 reviews and counting. You can find her online.